Lee & Beulah Moor Children’s Home » The Navarrettes are back! They just couldn’t be away from Lee & Beulah Moor Children’s Home for long, and we are overjoyed and grateful for it! 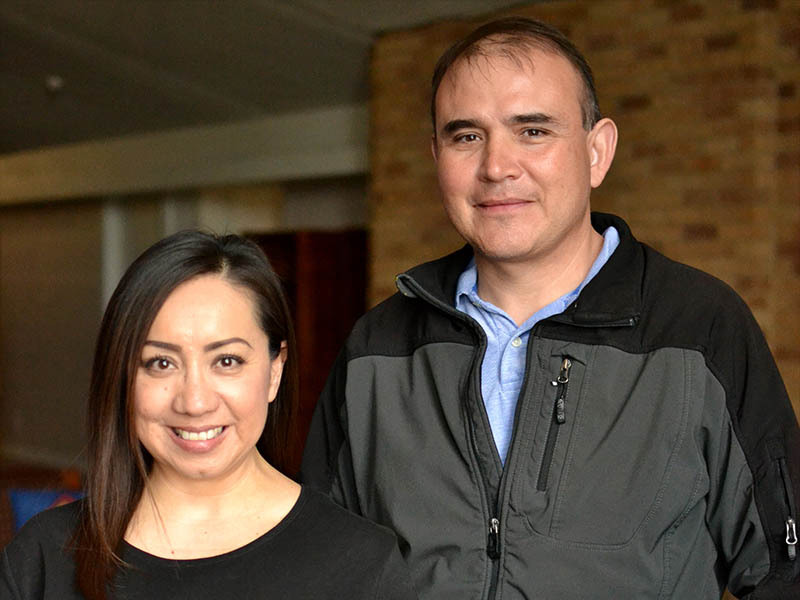 After 18 years of being cottage parents, Mike and Ceci Navarrette left last year in September to pursue other opportunities. But as the saying goes, “you can take the people out of Lee & Beulah Moor Children’s Home, but you can’t take the Home out of the people.” The two happily returned in late February. Mike’s connection to the Home goes back nearly 38 years when he and his three siblings lived here as children. The fact that he grew up here as a Lee & Beulah Moor Children’s Home kid deepens his connection with the children he serves today, he said. Ceci said that the best part about being a cottage parent is when former kids come back and want to continue to be part of their lives. Mike and Ceci raised two children of their own while living at the Home as cottage parents. Mike said that while raising and caring after children certainly came with many challenges, it also brought him and his wife closer together as they navigated parenthood and mentorship with each person’s unique talents.